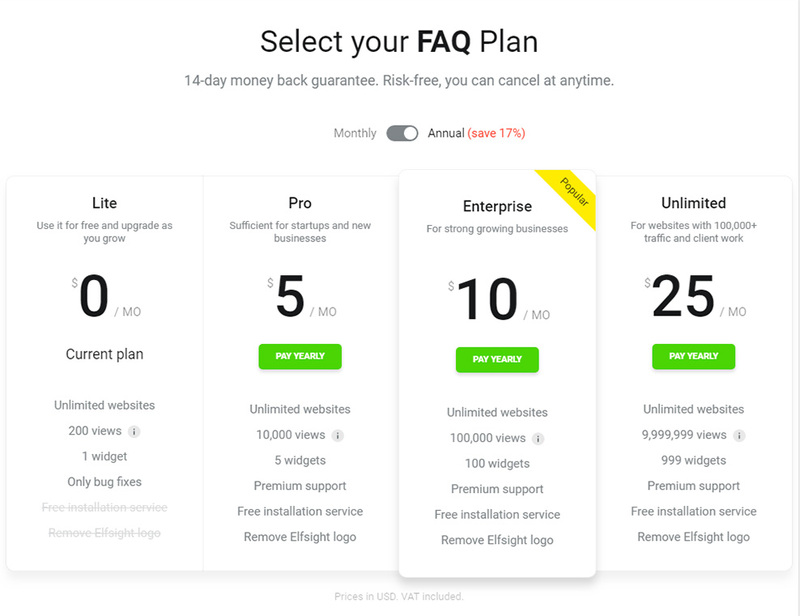 Reveal to your clients more details about goods or services using FAQ widget от Elfsight. Read a detailed tutorial on integration and using of the widget for your site. BONUS: Build up your unique FAQ now! Let your clients know more about your products or services. Higher customer credibility – higher conversion. 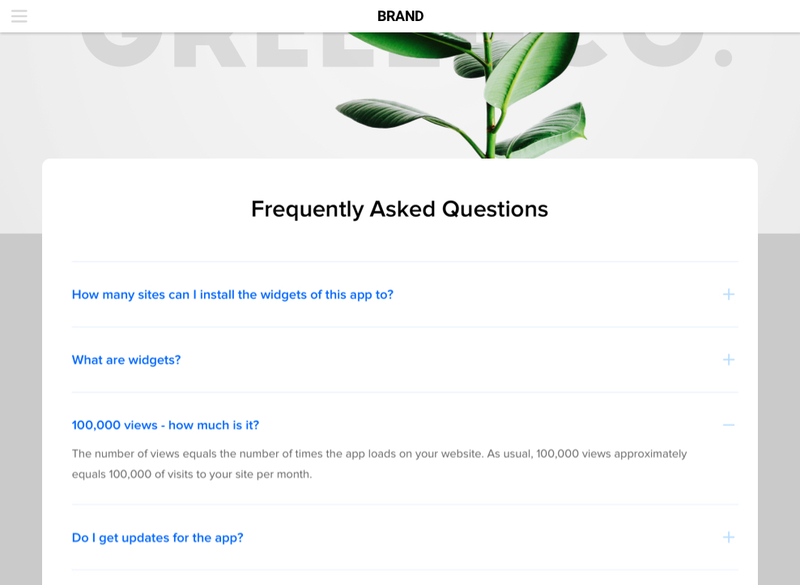 More info about the widget can be found on the main page of FAQ at Blogger. Don’t spend time on programming, you can create a plugin all by yourself in just 1 minute. Go to demo and start generating your plugin. After you have set all parametres, press «Join to Install» button. We can give you a wide choice of plans: from free to premium. In the popup, you will see a plugin code, use it to insert to your website. 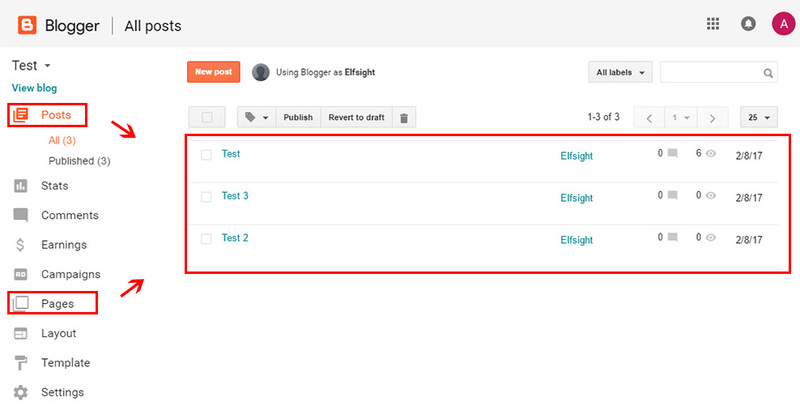 In the left-side menu, choose the needed section and go to the page for plugin adding. Switch the page into HTML mode. Copy-paste the plugin code into the content field and apply the adjustments by pressing «Update» button. FAQ has been successfully installed to your Blogger website. If you would like to modify any parameters of your FAQ widget or add content after the setup, you can easily do it. These changes can be introduced to all of your plugins in your personal account at Elfsight Apps and will be automatically added to your widget on the page. It is an online service, which offers fast access to a wide range of apps for your website. These apps are instruments to promote your website fast, by your own means, and with minimum effort. You don’t have to be a web programmer or to hire one to use them, they are intuitive and include no coding. Try your personal Blogger FAQ for free! Free design panel for quick shaping of plugins.